I believe we took this document down several months ago. The original content in TechNet was updated back in April 2015 from the original content back in March 2014. Visit TechNet for the most recent publishing. Full-volume encryption using BitLocker Drive Encryption is vital for protecting data and system integrity on devices running the Windows 8.1, Windows 8, or Windows 7 operating system. 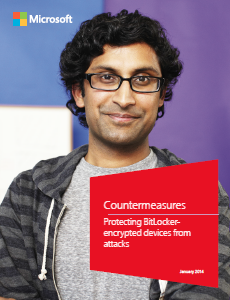 It is equally important to protect the BitLocker encryption key. This guide provides detailed information that will help you understand the circumstances under which the use of pre-boot authentication is recommended and when it can be safely omitted from the configuration of a device that is running on Windows 8.1, Windows 8, or Windows 7 operating systems.